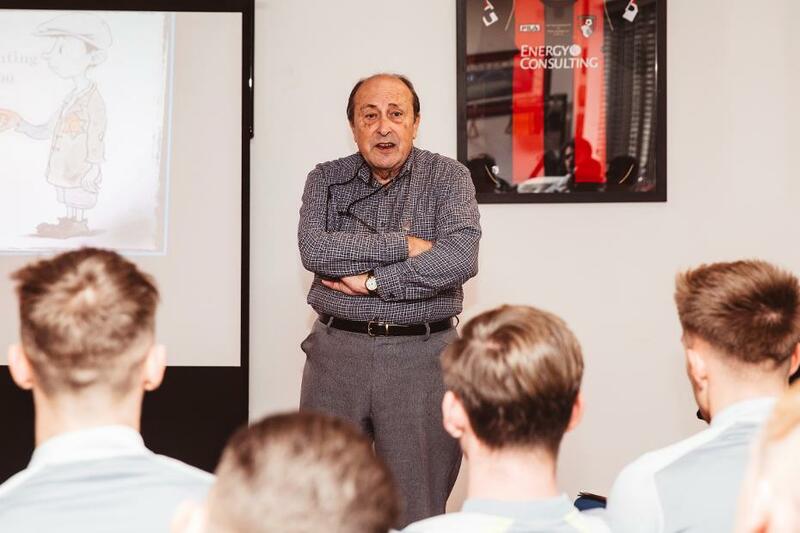 At AFC Bournemouth, the club's academy players heard a speech from Henry Schachter, a local resident who was a survivor of the Holocaust, but whose parents died in the concentration camps. "We need the younger generation to listen, learn and, hopefully, pass on the message," Schachter, pictured top, said. "That's what we're all aiming for." He will be a guest of AFC Bournemouth chairman Jeff Mostyn when they host Chelsea in the Premier League on Wednesday 30 January. The club's equality ticket allocation has been given to the Bournemouth Hebrew Congregation for the match, too. "Today is about tomorrow, it's not about yesterday," Mostyn told the club's official website about Schachter's speech. "Holocaust Remembrance Day is about recognising what happened and ensuring it never happens again."